The chart above, taken from the study, compares the results of the Government sponsored 1982 ANIS Study with the new SONA study. 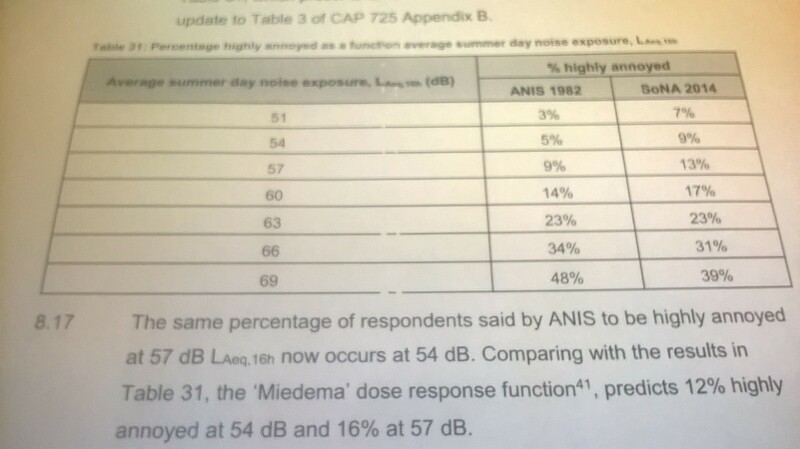 SONA found 9% of people are highly annoyed when the average is 54 decibels. In geographical terms around Heathrow that goes as far as about Clapham to the east and about 16 miles to the west: about 65,000 people in total. The lower average of 51% extends about as far as Peckham.